EA has today announced the availability of its new EA Access, Netflix style subscription service for games on Microsoft’s next-generation Xbox One games consoles. 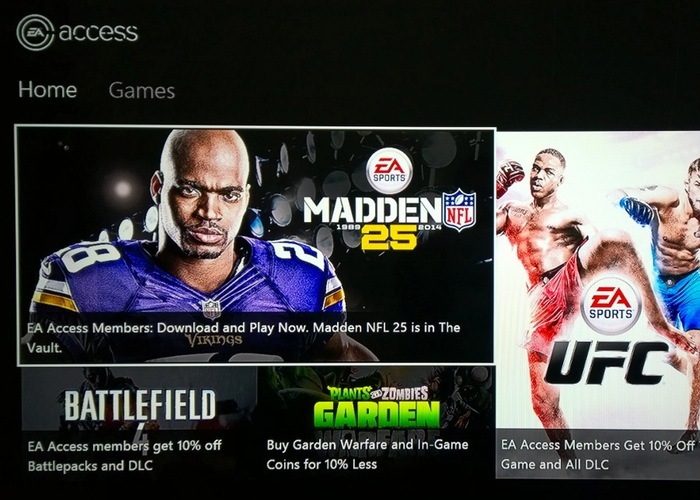 Last month EA unveiled their plans to launch the subscription service for $4.99 a month or $29.99 annually, allowing gamers to have the ability to download and play a variety of Xbox games from EA in The Vault. “As a member, you’ll also have the opportunity to try new EA games five days before the release date. Get ready to jump into Madden NFL 15, FIFA 15, NHL 15 and Dragon Age: Inquisition by downloading the game before the release date and playing for a limited time. And if you want to keep playing? Your progress in the trial will be saved so you can pick up right where you left off if you decide to purchase the game. To join up for membership to the new EA Access Xbox One games subscription service jump over to the EA website for more details.